True Believers Comic Festival is returning to Gloucester Blackfriars for another one day summer special event filled with comics, artists, creators and more. After the success of our one off event The True Believers Comic Festival: Summer Variant Edition, we bowed to the demand of those 4 people who asked us to do it again and are bringing it back for a second year! 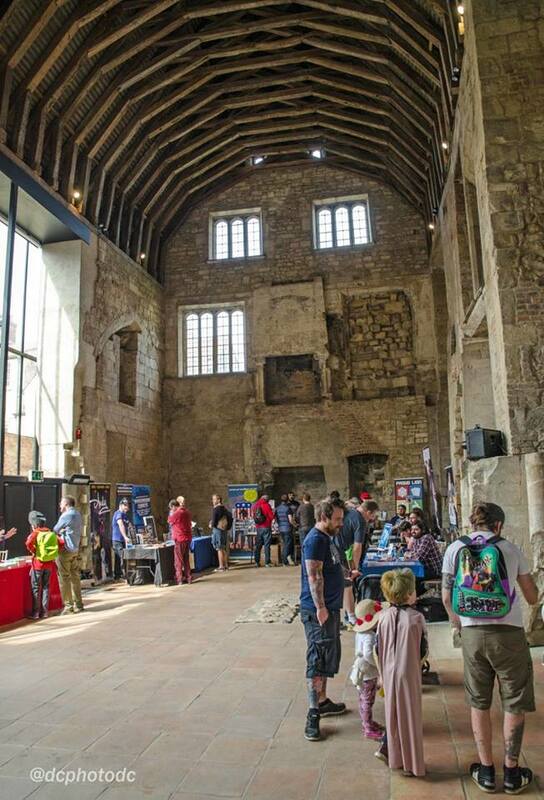 The event will again be held at Blackfriars Priory in Gloucester City Centre on Sunday 5th August 2018 between 11am and 4pm and, like last years event will boast over 30 tables featuring a great selection of Small Press Comics, original art, back issue comics, merchandise and much more, all in the stunning and unique setting of a medieval priory. You can find the official event page on Facebook HERE. If you are interested in booking a table at the event, please email us at oktruebelievers@gmail.com with some brief information about what you will be selling and we will get back to you as soon as possible. Blackfriars Priory is located in Gloucester City Centre, just a short walk away from the Docks, Train & Bus Station and several car parks. It boasts a large hall and courtyard garden as well as several smaller rooms. Below are some pictures and a map showing you where to find us. You can also find more information about the venue on the Blackfriars website. If you're traveling in for the event and aren't familiar with Gloucester, we recommend parking in the Eastgate Shopping Centre Car Park, which is £2.20 all day. You can get to Blackfriars by turning left out of the lifts on the ground floor and exiting the shopping centre via the Southgate Street doors (Blackfriars is to the left, when you get to what used to be Prezzo, it's right down the alley).